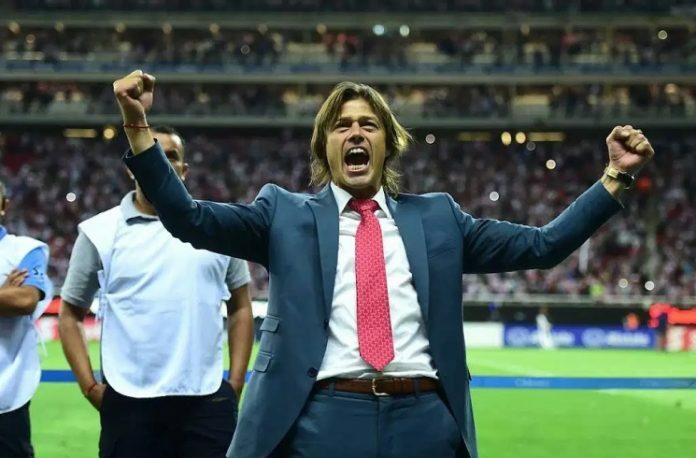 Matias ALMEYDA is being linked to coach the Costa Rican National Team. Now 44, Matias ALMEYDA has coached three teams. River Plate, Banfield and Guadalajara (where he recently won the 2018 CONCACAF Champions League). Should he take over this one (or the rumored Mexico job), it would mean his first coaching position in charge of a national team. The more I think of it, the more I like. Hopefully Aimar/Scaloni can impress these 6 months and take us to copa and WC. Pablo Aimar – World cup winning coach!! I like the sound of that! I know this would be unpopular here but I want to ask you guys about the chances of Bielsa becoming the manager after next year’s copa america. What if AFA makes a temporary arrangement till 2019 copa and then hire him as his contract with Leeds ends then (if I am right). I feel that all other options are unrealistic for the time being. 1) Pochettino- he would not take over as Argentina coach even if he becomes the English NT coach. 2) Simione- noooooooo way. 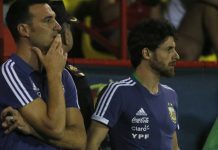 Even if he becomes Argentina manager, he would not be satisfied with the players available. A player like Gaitan will not earn a spot in his starting 11. How many better players do we have that can match his football philosophy? 3) If Gallardo leaves, that will make Riverplate weak. Same with Eschelloto and Boca. So it would not be surprising if supporters of each club want their rival club’s coach as the NT manager! Anyway none will become the NT manager now! 5). 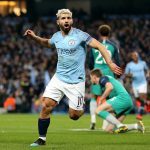 Gareka may sign with Peru, Almeyda with Costa Rica! 6) We can speculate about end number of coaches including Chacho Coudet, Heinze, Ariel Holan, etc. but none looks realistic. NO BIELSA MY FRIEND !!!! I STILL WONDER WHO IS MORE MANIAC !! NO BIELSA FOR GOD SHAKE !!!! Forget winning anything with Bielsa as the coach. So the answer is HELL NO! Gallardo is under contract with River until December 2021. Rodolfo D’Onofrio will not allow this happened. if AFA want young coach then Angelici should take Guillermo Barros Schelotto. let make mess his team and let River in peace. my friend don t misunderstand me. i love my national team. and Boca putos to make damage to my team. and he don t want now to be in the national team. One day Gallardo want to be national team coach but for now he is commited to River. So anymore this circle of articles from Boca side reporters and Angelici should stop because the target is to hurt River and not the good of national team which I CRAZY LOVE. Just to make clear myself and people don t take me wrong. The rumor is that coaches under afa contract will be coaches until the end of the year and will coach 6 matches. 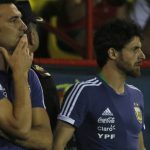 Coaches under contract are scaloni, aimar, placente and burruchaga (meh). Tapia wants pochettino and angelici almiron because macri likes him (fifa can and should ban us because of political interference in sports). Tapia will probably test aimar and scaloni while trying for pochettino who i have doubts will accept. That leaves us with gallardo and schelotto as candidates after the copa libertadores. I dont like either and none of the other coaches impress me beside pochettino, simeone (dont know if we have the players of his liking), and gareca ( i am open minded about him). Veron said it best! First project then analyze the players we have and want to build a team with and then hire the coach who is on the same wave as the players. Deep down i support aimar to become the coach. Riquelme/ aimar/ zidane and messi are my favorite players of all time. If afa really doesnt hire a coach until the new year and then hires one, how is this guy going to form team for Copa america? Would be crazy to take over so late. That’s why i believe the interim coach will be coach at Copa. Honestly if that’s the case then I am against the whole thing (as if anyone cares! ;). Argentina had 6 coaches….6!!!!! Since 2009, that’s 6 coaches in 9 years!!! Insane. What this team needs is some stability. If they want to hire the plac-aim pair then hire them and be patient with them, let them use the 10 friendlies they have before copa to get their tactics together and even if they bomb at copa then give them a chance to learn and develop. Simeone is not coming (not for a long while), Pottechino is a good coach but to be honest he’s another bielsa worshiper, which is one of the reasons why he is yet to win anything (even though spurs improved leaps and bounds because of him) plus the AFA can’t get him unless they find all those untold millions that were stolen by the previous corrupt members and throw it all at Pottechino. Gallardo Im not so sure about, his River team was so up and down and his tactics varied from one game to the next he honestly reminds me abit of baldie! That leaves Gareca and plac-Aim, the former is a solid choice and has shown that he can do alot with very little while the latter are young and have a hell of a lot to prove and they can create a bridge between the junior and the senior teams, something Argentina hasn’t hand since the pekerman days. At the end of the day whoever they choose they need to choose said person(s) quickly and stick with that choice through the think and the thin and maybe Argentina won’t be embarrassed in 4 years time and maybe, just maybe Argentina adds a 3rd star in 8 years! sorry guys i meant Sc-Aimar LOL! I don’t know why I had Placente’s name in my head. I think Afa Waiting for marcelo gallordo .After cops liberarators gallordo may be appointed as a coach. For me pochattino is the best Argentinean coach at the moment. In England they love him they ‘re saying some ‘re saying he is the best manager. In terms the money he has spend and how he improves the young players,where he took to spurs from average team to champions league team. His style of playing is great attacking and balance . I see why tapia want him but I know that wouldn’t happen. So that leaves to the afa only Marcelo Gallardo that is why I think . The afa waiting till end of the year so they can have Gallardo after Copa libertadores. Which I think Gallardo trying to win it again. Ever watch but I support Argentina not Messi or any other individual players. I want see Argentina win world cup 2022 God willing. I follow the EPL and you’re right about Pochettino. People in Argentina think he’s living royalty but he’s also slightly under pressure to win a title or maybe you can argue it’s between the media and rival fans. I’d say he has 3 more years left to win. Tottenham owner is a business man, profit counts so Pochettino can’t spend anything to jump the extra hurdle. Really excited about this EPL season, starts real soon! You guys see it? These young managers are indirectly telling you they’re not ready for the job and they need more experience. He mentions Costa Rica so people stop annoying him. He’s doing it for the best of our country, would you want someone in charge who’s nervous, doesn’t have faith in himself (yet) taking over? People keep saying we need to take risks well we’ve been taking risks since 08, Maradona, Batista, Bauza, Sampaoli… lol. Sabella and Martino had confidence in their managing skills, they lead us to 3 finals. He’s nearly got as many draws then wins but people will want him on here because he’s… 44. We don’t DO 45% wins. He’s young he needs more experience. His CV suits a countries like Costa Rica/Honduras/Ecuador/Venezuela. So thats that i guess, We can knock out that name from our choices, Well he is not great(No one can guarantee sucess by the way) but he was young. Now who? Sabella, Pekerman, Garcia(I heard he is travelling to Peru , probably he will sign till 2022 for Peru, So that also gone), Almiron (No idea how he is but some rates him well), I would prefer someone who is young. Cuper just became coach of Uzbekistan.